Click to edit the material. Click to move the element to another page in the lesson. Click to insert new material below this element. Click to drag-and-drop the element to another part of the lesson. 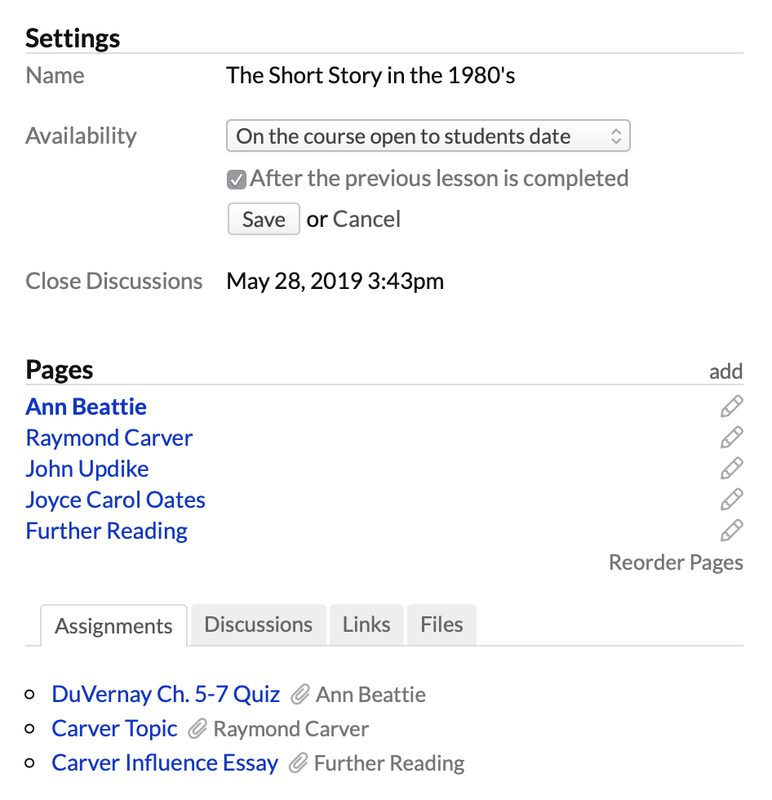 The right column of the page shows you the settings for this lesson, the pages in it, and any additional materials (discussions, assignments, files, and links) that you've added anywhere in this lesson. Change any of the settings by clicking the setting name. Add a page to the lesson to divide and structure the flow of the lesson. Click to change the page name. Click Reorder Pages and drag/drop the pages into the order you'd like.